Welcome to Treasures Washed Up on the Shore! | Welcome to Prints on Purpose! Welcome to Treasures Washed Up on the Shore! I honestly can’t promise that every word that floats through this blog will prove a treasure. But it will be lovely to have a place to converse, express ideas, and highlight some resources. 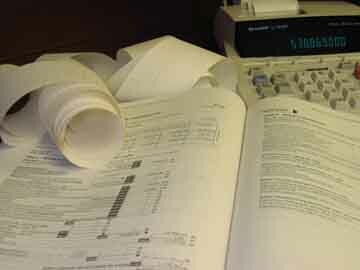 For the past several days, I’ve been steeped in a great American pastime—preparing my income tax returns. After trying out a new calculation software, and completing 95% of the work, I didn’t feel comfortable with the results. So I decided to start over, using my familiar, used-for-the-past-ten-years program. Our returns have a lot of ins and outs, and trying to answer those computer-screen interview questions was a challenge. I’m convinced the government pays people specifically to make this whole process as complex as possible. What I noticed is that, until I hit that ‘transmit’ button to send the forms on their virtual flight, I could hardly think about anything else. This sort of focus tends to be a norm for me; if there is a big project hanging over me, it’s hard to devote time and emotional energy to other priorities. A driving force propels me along the path to completion. When I finally arrive, it’s like dropping a weighty backpack at the end of a long hike. Freedom! It has been a joy to celebrate a day of reveling in completion energy. A few things went by the wayside for a while, but it has been worth it. How about you? How does hyper-focus show up in your life (or does it)? When you have a big project with a definite deadline, are you able to moderate your focus and work on other priorities (including creative ventures) as well? This entry was posted in General on June 19, 2014 by Donna Mills. Donna I so agree with you about what happens when we are hyper focused. I only get like that when the task I'm completing is one I am so into that nothing else can pull me away. I'm a multi-tasker by design, but on a rare occasion, there will be a task that gets my undivided attention. When that happens — watch out!!! I'm all in. 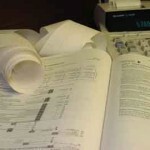 Unfortunately, doing my taxes is NOT one of those things :-). Kudos to you for getting them done and knowing how to focus and stay the course. You inspire me. The world seems to reward hyperfocus. Is it a bad or a good thing? Or maybe neither or both?